Sell a Classic Car Online, 100% Free! If you are a new customer, create a free account. Get ready to sell your car in just a few simple steps! We also have hundreds of buyers registered in our Cars Wanted section looking for specific vehicles. You can browse through our Cars Wanted listings to see if we already have a buyer waiting to find just what you’re selling. If you are a classic car dealer then you can place as many adverts on our site for FREE. Trade advertisers can also benefit from advertising across our site on various banners. Please contact us for further information and advertising rates. To set up an account as an auctioneer and feature in our dedicated Classic Car Auctions page then simply send us a message via our contact page and we will provide instructions on how to be listed. With thousands of classic car owners, dealers and budding collectors visiting our site every day, Classic Cars HQ is the obvious choice to advertise. And because advertising on our site is Free of Charge you don’t need to worry about weekly listing fees. 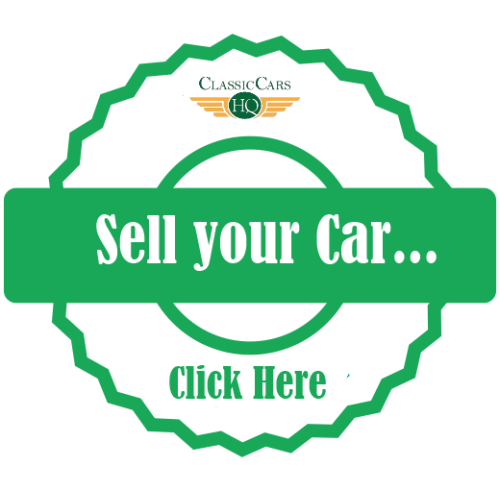 Hundreds of classic and vintage cars get sold through Classic Cars HQ every week so get started today and listed in minuets by clicking “Place Your Advert” below.